Aboard “Blue Heron Fishing Charters” we offer custom Deep Sea, Near Coastal and In-shore fishing adventures, in and around one of the world’s finest fishing areas at Port Canaveral and Cocoa Beach, Florida. Blue Heron Charters owns and operates two different boats, the 26’ “Blue Heron”, designed and equipped for near coastal & inshore fishing and eco-tours and the 37’ “Emerald C’s”, designed and equipped for the deep Sea fishing trips. 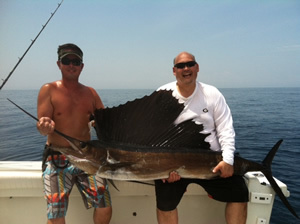 We entertain all types of fishing enthusiasts, whether you are an experienced or novice angler. 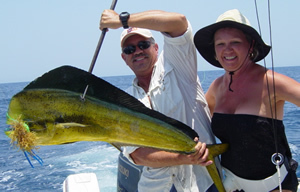 Our Deep Sea trips are geared for those who are after “The Big One” such as Sailfish, Wahoo, Kingfish, Mahi Mahi, Grouper and Snapper, to name a few. 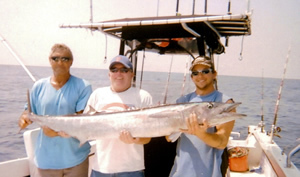 Our Near Coastal and Inshore “Family Style” fishing trips are excellent for the young and old anglers alike who want the excitement of catching a wide variety of fish on calmer protected waters. Our Eco-Nature Tours are for all ages that like to “Kick Back” and enjoy nature at its best. One of the all time memorable tours is the view of “History in the Making.” Experiencing the extra-ordinary launch of the Kennedy Space Center’s Rockets or Shuttles, is one of the most spectacular events to view at Cape Canaveral. Here at “Blue Heron Charters” we offer a “Tour and Boat for every Budget”. 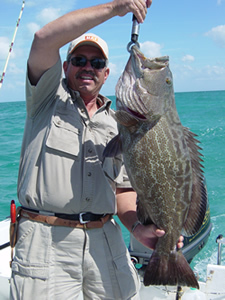 Captain Frank has considerable experience in Florida fishing, having his U.S.C.G. Master 100 Ton License for over 20 years and being a Central Florida native. He has grown up fishing the waterways of Florida extensively, from the central Florida East Coast all the way to Key West. As a Capitan, he will work hard to ensure a memorable fishing experience for all.